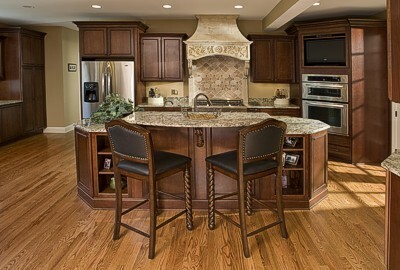 We listen to your needs and incorporate them into a professional kitchen design complete with 3-D views of every cabinet area. 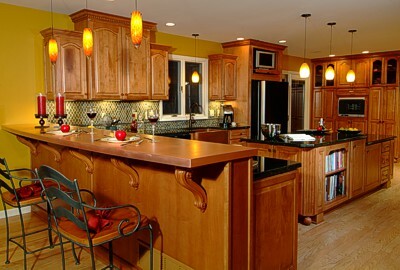 Whether it's cherry, maple, oak or painted cabinets, we meet every budget and taste. 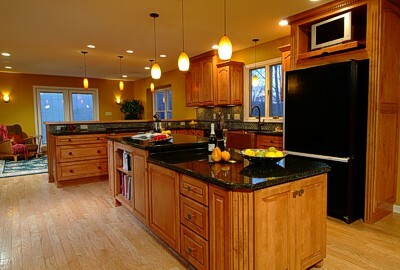 We provide your dream countertop from Granite to Quartz to Corian and many other types in every color imaginable. 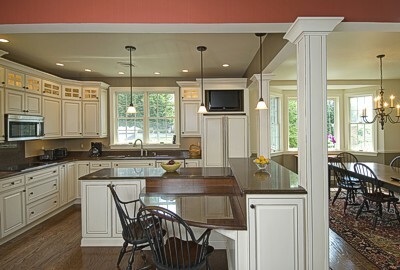 We assist in setting up a temporary kitchen to help get through your remodeling process. 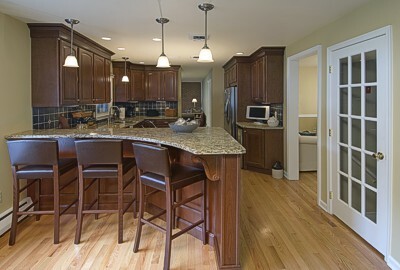 We know that the kitchen is the heart of every home; therefore we schedule every detail out in advance so we can give you an accurate completion date.